Postdoctoral research on “Climate Change Adaptation” under research program on climate change funded by MEXT, Japan at the University of Hokkaido, Japan during December 2012 to December 2014. PhD research on “Recent Forest Fire and Lightning Trend in Alaska” under the research area of Human Environmental System at the University of Hokkaido, Japan. MS research on “Investigation of Micrometeorological aspects over Vegetation of Fallow Land” at Bangladesh Agricultural University, Mymensingh. MEngg. research on “Analysis on Mongolian Wildland Fires Using MODIS Hotspot and Weather Data” at the University of Hokkaido, Japan. 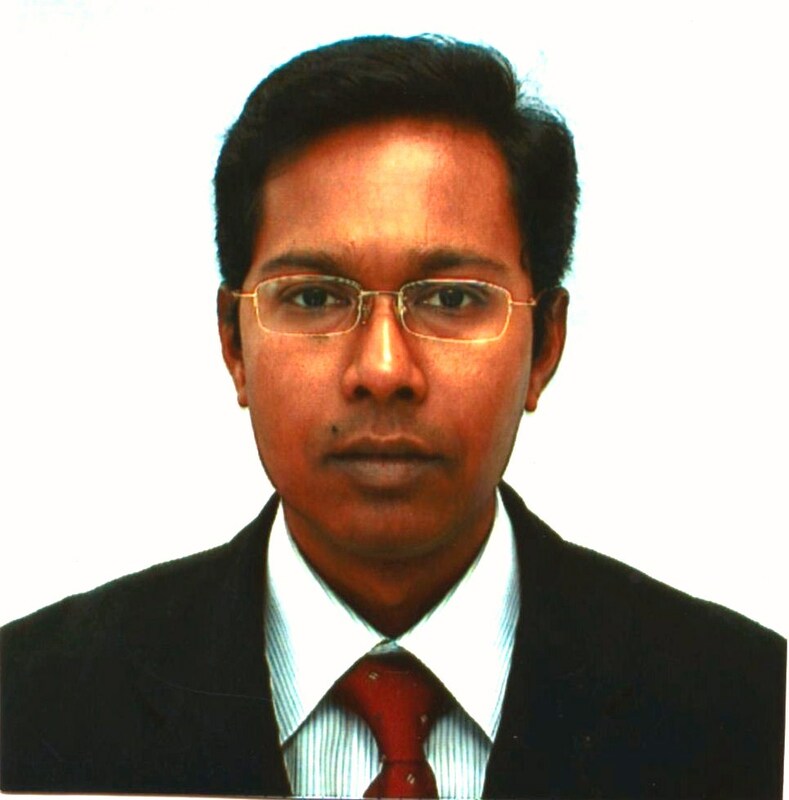 Worked as a research associate in the project entitled “Effect of Integrated Nutrient Supply and Planting Geometry on Fertility of Soil and Productivity of Modern Rice Varieties” funded by Bangladesh Agricultural University Research System (BAURES) from January 2002 to December 2003. Working as a principal investigator (PI) in an on-going research project entitled “Severe Cyclone Events on Crop Vulnerability under Climate Change Conditions – Integration of GCM and GIS” funded by BAURES. Working as a principal investigator (PI) in an on-going research project entitled “Synoptic Climatology of Severe Cyclone Events and Crop Vulnerability under Climate Change Conditions” funded by University Grants Commission (UGC). Number of MS students supervised and co-supervised- 7 and 18, respectively. Participated in a 2 days long training program entitled Interdisciplinary Research jointly arranged by Wageningen University and Research, the Netherlands and Interdisciplinary Center for Food Security (ICF), Bangladesh Agricultural University, Mymensingh during 16-17 April 2017. Attended in a 3 days long training-workshop entitled Online Journals for BanglaJOL Editors arranged by Bangladesh Academy of Sciences (BAS) and International Network for the Availability of Scientific Publications (INASP) during 19 to 21 May 2012. Completed a weeklong training program on Sustainability Science Consortium organized by the Center for Sustainability Science of Hokkaido University, Japan in March 2011. Attended Graduate School of Engineering, Hokkaido University, Japan as a Research Assistant (RA) from June 2011 to August 2011. Participated in a 4 months long language training program on Introductory Japanese Basic and Introductory Japanese Communication organized by International Students Center of Hokkaido University, Japan from April to July 2008. Attended Graduate School of Engineering, Hokkaido University, Japan as a Teaching Assistant (TA) from October 2007 to September 2008. Participated a 4 days long training program on Web Page Design and Hosting by GTI of BAU from 22 to 25 February 2006. Participated in a 13 days long training program on Basics of MS Office and Data Analysis organized by GTI, BAU from 6 to 18 May 2006. Completed a 6 days long training program on Scientific Report Writing organized by GTI, BAU from 20 to 25 May 2006. Completed in a 15 days long training program entitled Teaching Methods and Techniques organized by GTI, BAU from 12 to 26 February 2005. Attended a 6 days training on Project Cycle Management and TAPP Preparation organized by the GTI and BAU Research System from 14 to 19 September 2005. Attended in a 2 months long Communicative English Course arranged by the Department of Languages, BAU during May to June 2004. Completed a 2 days long workshop on Curriculum Development and Creative Question by Graduate Training Institute (GTI) of Bangladesh Agricultural University (BAU). 2) T. J. Yamada, D. Takeuchi, M. A. Farukh, Y. Kitano. 2016. Climatological characteristics between heavy rainfall in northern Pakistan and atmospheric blocking over western Russia, Journal of Climate, doi: 10.1175/JCLI-D-15-0445.1 (Impact factor: 4.435). 4) M. A. Farukh and M. A. Baten. 2015. Temperature anomaly and severe cyclone events in the southern coastal regions of Bangladesh, Journal of Environmental Science & Natural Resources, 8(1): 35-40. 5) S. M. S. A. Tuhin, M. A. Farukh, B. S. Nahar and M. A. Baten. 2015. Impacts of Some Climatic Variables on the Seasonal Productivity of Aman Rice at Dhaka Region, Central Part of Bangladesh, Journal of Environmental Science & Natural Resources, 8(2): 7-10. 6) M. N. H. Khan and M. A. Farukh. 2015. Assessment of Weather Anomalies Related to Cyclone AILA Using Atmospheric Sounding Indices, Journal of Environmental Science & Natural Resources, 8(2): 21-24. 7) M. N. H. Khan, M. A. Sattar and M. A. Farukh. 2015. Assessment of Weather Anomalies for Severe Cyclonic Storm AILA in 2009, Bangladesh Journal Environmental Science, 28: 119-124. 9) T. J. Yamada, M. A. Farukh, T. Fukushima, M. Inatsu, T. Sato, Y. N. Pokhrel and T. Oki. 2014. Extreme precipitation intensity in future climates associated with the Clausius-Clapeyron-like relationship, Hydrological Research Letters, 8(4), 108–113, DOI: 10.3178/hrl.8.108. 10) R. Khatun, M. A. Farukh, A. Miyata, M. A. Baten. 2014. Bowen Ratio Measurements of Energy Budget Components over Various Ecosystems in Mymensingh, Journal of Environmental Science & Natural Resources, DOI: http://doi.dx.org/10.3329/jesnr.v7i1.22139. 11) S. Roy, L. N. Banna, S. A. Mamun, M. A. Farukh. 2013. Effects of industrial wastewater reuse for crop production: A case study in Tejgaon metropolitan area of Dhaka, Bangladesh, Journal of Bangladesh Agricultural University, DOI: http://dx.doi.org/10.3329/jbau.v11i2.19860. 12) M. A. Farukh and H. Hayasaka. 2012. Active Forest Fire Occurrences in Severe Lightning Years in Alaska, Journal of Natural Disaster Science, DOI: http://dx.doi.org/10.2328/jnds.33.71. 13) A. H. M. M. Morshed, M. A. Farukh and M. A. Sattar. 2012. Heavy Metal Contamination in Farm and Urban Soil in Mymensingh. Journal of Environmental Science & Natural Resources, DOI: http://doi.dx.org/10.3329/jesnr.v5i2.14798. 14) Shamsad, M. A. Farukh, M. J. R. Chowdhury and S. C. Basak. 2012. Sea Surface Temperature Anomaly in the Bay of Bengal in 2010. Journal of Environmental Science & Natural Resources, DOI: http://doi.dx.org/10.3329/jesnr.v5i2.14797. 15) M. A. Farukh, H. Hayasaka and K. Kimura. 2011. Characterization of Lightning Occurrence in Alaska Using Various Weather Indices for Lightning Forecasting, Journal of Disaster Research, 6 (3): 343-355. 16) M. A. Farukh, H. Hayasaka and K. Kimura. 2011. Recent Anomalous Lightning Occurrences in Alaska – the case of June 2005 –, Journal of Disaster Research, 6 (3): 321-330. 17) M. A. Farukh, H. Hayasaka and O. Mishigdorj. 2009. Recent Tendency of Mongolian Wildland Fire Incidence – Analysis Using MODIS Hotspot and weather Data –, Journal of Natural Disaster Science; DOI: http://dx.doi.org/10.2328/jnds.31.23. 18) A. K. M. Tajkir-Uz-Zaman, M. A. Farukh, M. S. Zannat and K. Gosh. 2007. Study on Bowen Ratio Components on Different Growth Stages of Rice, Bangladesh Journal of Agriculture and Environment, 3(2): 1-6. 19) M. A. Farukh, M. A. Rahman and A. K. M. Tajkir-Uz-Zaman. 2006. Measurement of Bowen Ratio Components over Natural Grass Ecosystem, Bangladesh Journal of Agriculture and Environment, 2(1): 87-91. 20) A. K. M. Tajkir-Uz-Zaman, M.A.Baten and M.A.Farukh. 2006. Diurnal Pattern of Energy Balance Components at Different Growth Stages of Rice, Journal of Bangladesh Society for Agricultural Science & Technology, 3 (3&4): 1-4. 21) M. A. Farukh and M. A. Baten. 2005. Investigation of a few Micrometeorological Parameters over Fallow Land Vegetation, Journal of Bangladesh Society for Agricultural Science & Technology, 2 (1&2): 1-5. 22) M. A. Farukh, M. A. Sattar and M. A. Baten. 2005. Investigation of Energy Balance Components over Vegetation of Fallow Land, Bangladesh Journal of Environmental Science, 11(1): 114-118. 23) M. A. Farukh, M. T. Islam and M. T. Hossain. 2005. Human Nutritional Status and Environmental Conditions of Rice Mill Area at Alamdanga of Chuadanga, Bangladesh Journal of Environmental Science, 11(2): 471-475. 24) M. A. Rahman, M. A. Farukh, M. A. Baten, M. F. Rahman and M. Z. A. Sarkar. 2005. Effect of Legume Crops on Soil Nutrient Status and Yield Attributes of Transplanted Aman Rice, Bangladesh Journal of Agriculture and Environment, 1(2): 39-44. 25) M. A. Ullah, M. A. Farukh, M. G. Mostafa, M. Anisuzzaman and M. M. Alam. 2005. Sapling Plantation in Nursery and its Impacts on Nurseries Owner and Environment at Dinajpur District, Bangladesh Journal of Environmental Science, 11(2): 465-470. 1) M. A. Farukh and T. J. Yamada. “Extreme Snowfall Events and Associated Synoptic Climatology in Sapporo City of Northern Japan”, Proceedings of the 7th International Scientific Conference on the ‘Global Water and Energy Cycle’ in World Forum, The Hague, The Netherlands, July, 2014. 2) M. A. Farukh and T. J. Yamada. “Synoptic climatology associated with extreme snowfall events in Sapporo city of northern Japan”, Proceedings of the 11th Asia Oceania Geoscience Society (AOGS) meeting, Sapporo, Hokkaido, Japan, August, 2014. 3) T. J. Yamada, T. Sato, M. Inatsu, M. A. Farukh, K. Nakamura, S. Sugimoto, N. Matsuoka, T. Ogura, A. Komatsu, “Development and Application of Comprehensive Downscaling in Hokkaido”, local conference organized by Weather and Meteorological Agency of Japan (JWA & JMA), and Research on Climate Change Adaptation (RECCA) of Hokkaido University, Sapporo, Hokkaido, Japan, October, 2014. 4) M. A. Farukh and T. J. Yamada. “Climatology of Winter and Summertime Extreme Rainfall Events over Northern Japan”, local conference organized by Japan Meteorological Agency (JMA) on downscaling, Sapporo, Hokkaido, Japan, September, 2014. 5) M. A. Farukh and T. J. Yamada. “Synoptic Climatology Associated with Extreme Snowfall Events in Sapporo City of Northern Japan”, Proceedings of the International Workshop on Downscaling 2013, Tsukuba, Japan, October, 2013. 6) M. A. Farukh and T. J. Yamada. “Mesoscale Weather Patterns Leading to Extreme Snowfall Intensity Events in Sapporo City of Northern Japan”, Proceedings of the International Joint Conference of 11th Asia-Flux International Workshop, 3rd HESSS, and 14th Annual Meeting of KSAFM, Seoul, Korea, August, 2013. 7) M. A. Farukh and T. J. Yamada. “Advanced Data Downscaling for Climate Change Adaptation in Hokkaido Region, Japan”, Proceedings of the 6th International Conference of the Asia Pacific Association of Hydrology and Water Resources, Seoul, Korea, August, 2013. 8) N. H. Khan, M. A. Sattar and M. A. Farukh. “Assessment of Weather Anomalies for Severe Cyclonic Storm Aila in 2009”. The 19th conference of the Islamic World Academy of Sciences, Dhaka, Bangladesh, May, 2013. 9) H. Hayasaka and M. A. Farukh. “Active Forest Fires Occurred under Severe Lightning in Alaska”, Proceedings of the American Meteorological Society 9th Symposium on Fire Forest Meteorology, Palm Springs, CA, October, 2011. 10) M. A. Farukh, H. Hayasaka and K. Kimura, “Lightning Meteorology and Wildland Fires in Alaska”, Proceedings of the Japan Association of Fire Science and Engineering Annual Symposium, Tokyo, Japan, May, 2011. 11) M. A. Farukh, H. Hayasaka and K. Kimura, “Thunderstorm Occurrence and Ignition Condition in Alaska”, Proceedings of the Japan Association of Fire Science and Engineering Annual Symposium, Hokkaido, Japan, May, 2010. 12) H. Hayasaka and M. A. Farukh. “Satellite Observation of Forest Fire and Thundercloud in Alaska”, Proceedings of the Japan Geo-science Union Meeting, Chiba, Japan, 2010. 13) H. Hayasaka and M. A. Farukh. “Thunderstorm Occurrence in Alaska”, Proceedings of the Heat Transfer Symposium, Hokkaido, Japan, 2010. 14) H. Hayasaka and M. A. Farukh. “Recent Active Lightning and Forest Fires in Alaska”, Proceedings of the 2nd International Symposium on the Arctic research, Tokyo, Japan, 2010. 15) M. A. Farukh and H. Hayasaka, “Lightning Climatology and Forest Fires in Alaska”, Proceedings of the Japan Association of Fire Science and Engineering Annual Symposium, Tokyo, Japan, May, 2009. 16) M. A. Farukh and H. Hayasaka, “Forest Fires in Alaska – Analysis based on Lightning and Meteorological Parameters”, Proceedings of 55th Symposium of the Meteorological Society of Japan, Hokkaido, Japan, September, 2009. 17) H. Hayasaka, E. I. Putra and M. A. Farukh. “Disastrous Fires in Several Forest and Wildland in the World”, International Symposium on Cooperative Actions for Disaster Risk Reduction (CADRR), UN University, Tokyo, Japan, March, 2009. 18) M. A. Farukh and H. Hayasaka. “Forest Fire Occurrence Probability by Lightning in Alaska”, Proceedings of the Combustion Society of Japan, Hokkaido, Japan, December, 2009. 19) M. A. Farukh and H. Hayasaka. “Recent Tendency of Mongolian Forest Fires Using MODIS Hotspot and Weather Data”, Proceedings of the Japan Association of Fire Science and Engineering Annual Symposium, Kobe, Japan, May, 2008. 20) M. A. Farukh and H. Hayasaka. “Forest fires in Mongolia – Analysis based on MODIS Hotspot and Weather Data”, International Symposium, Sentinel Earth – Detection of Environmental Change – Hokkaido, July, 2008. 21) H. Hayasaka, M. A. Farukh, A. Fedorov and O. Mishigdorj. “Recent Forest Fire Activity and Precipitation”, The 1st International Symposium on Arctic Research, Tokyo, Japan, 2008. 22) H. Hayasaka and M. A. Farukh. “Forest Fires in Mongolia”, Proceedings of the 45th Japanese Heat Transfer Symposium, Tsukuba, Japan, May, 2008. 23) H. Hayasaka, E. I. Putra, M. A. Farukh, Fedorov, A., Usup, A. and Mishigdorj, O. “Recent Wildland Fire Activity in Boreal and Tropical Regions under Rapid Climate Change – The ’88 fires: Yellowstone and Beyond”, Tallahassee, Florida, USA, September, 2008. 24) M. A. Farukh and H. Hayasaka. “Forest fires in Mongolia – Analysis based on MODIS Hotspot and Weather Data”, International Symposium, Sentinel Earth – Detection of Environmental Change –, Hokkaido, Japan, July, 2008.
a) M. A. Farukh. Mongolian Wildland Fires; VDM Verlag, Germany; Language: English; ISBN-10: 3639202295; ISBN-13: 978-3639202298, 2009.
b) M. A. Farukh. Micrometeorology- Approach to Tropical Fallow Land; VDM Verlag, Germany; Language: English; ISBN-10: 3639211979; ISBN-13: 978-3639211979, 2009.
c) M. A. Farukh and H. Hayasaka. Lightning and Forest Fires in Alaska: Lightning Caused Fire Behaviour; LAP LAMBERT Academic Publishing, Germany; Language: English; ISBN-10: 3847324713; ISBN-13: 978-3847324713, 2012.